We all want to get that glow in our faces with no make-up, I found many only look after their skin concerns only on their big day. I would highly suggest to make sure they’re looking their best not only on their big day but once in a while it’s important to target some of the concerns and issues that rises to our skins at least once a year so we look our best all year-long. This is the best time of the year to start and renew our skin care regimes tackling the concerns that we get through aging. This post is particularly for those who seeks to get radiant looking skin all year-long and also for those who wants start from a point. Early access on finding a good dermatologist who can give you an advise on how to tackle some of main skin concerns. Before starting to use any thing, it is very important to know the mean issue of your skin – this way you can get into mean issue without wasting much time, plus you will have a better understanding on how to target the issues. Get a nice professional facial – with facials you see immediate result, skin get an instant glow and hydration at once, especially at this time of year where skin gets dry and tired. If you’re some one with oily skin or wearing makeup on daily basis, the skin does get a little oily at the T-zone, try to make sure to balance out the skin to combination especially on T-zone area. Hiding pores is not easy but possible, with using the right products. They get visibly noticeable especially when you’re wearing makeup, even though you get a pretty good care after getting a nice facial but you have to make sure to use the right product to keep the skin looking fresh. Your professional Esthetic will be able to help you in the matter. Never neglect about scrubbing our bodies. We all pay more attention to the face not our body as a whole, having a soft and smooth skin over all is supper flattering. Making sure to cover the driest parts of our bodies like elbows and knees plays a huge roll to your look. We all love that tanned look all the time, never forget to use sunscreen on face as well as lips are important. Even after applying sunscreens the sunspots will appear, using acid peels will help you to take care of those spots from roots. 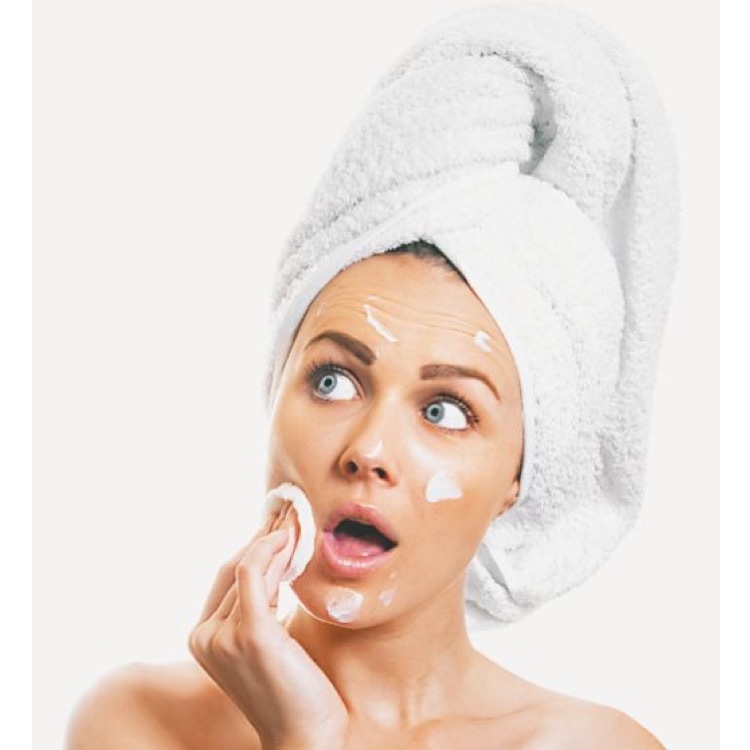 Using Facial Moisturizers are another way to keep the skin looking nice and glowing. As well as it will help us with the aging process. Never forget to use a nice detoxing mask once in a while for deep cleaning the skin. After wearing makeup plus the environmental pollution adds lots of toxins to our skin, deep cleaning with a favorite mask will give your skin freshness. Keeping the makeup brushes nice and clean is an-other way to help our skins stay away from pollution. I would prefer to clean your makeup brushes once a week especially if you’re using on daily basis. Drink water – most of us forgets what you see comes from inside, drinking enough water plus adding super foods like berries and green veggies makes a big difference in skin’s appearance. I hope this quick remedy to get a glowing skin care routine will help you all to start the new year looking in your best. I find most of us just try out the products without knowing the mean issue of their skin. It’s always a good to know what is the mean issue and how to target those issues then the products will help us get to the roots and will work as well. I would love to know your feed back on this post, please do let me know if you want me to follow this post with a product recommendation post for what I have tested and worked for me so far.